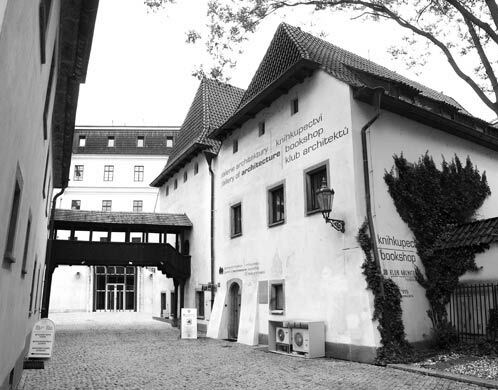 The Jaroslav Fragner Gallery is located in the historic centre of Prague and is one of the few galleries in the Czech Republic devoted solely to the presentation of architecture. There is already more than half a century tradition, and since 2006 it has been operated by the Architectura association. Authors from the Czech Republic, Europe and the world, especially progressive studios of middle and upcoming generation exhibit here regularly. The gallery has a long-term cooperation with a number of European architectural art galleries, centres and educational institutions. It cooperates closely with artistic and technical universities, organizes international conferences, field trips, spreads publications, organizes and experts´ lectures and master classes. It also realises presenting of Czech works abroad and has organized several major exhibitions of contemporary Czech architectural design. Solo exhibitions are devoted to current issues, renowned personalities and history of the 20th century. In recent years the gallery has also presented the subject of public space, sustainable architecture and the conversion of industrial heritage in the form of solo exhibitions and festivals.